You never know when you will require one of these blazers but with five vibrant colors you'll have one for any event. Jacket: Two button. Single breasted. Classic fit. Three interior pockets. Two button cuff. Side vents. Three patch pockets. Fully lined. Dry Clean Only. Excellent in a very competitive market. High end product at medium price with a few good deals. Good to buy when the deals are right for you. Packaging is excellent with free return but you do have to pay postage. Excellent service. Jacket arrived promptly but wrong fit for me. Returned it free of charge and ordered a replacement. Refund actioned within days and new jacket fitted perfectly. Very pleased with my purchase, excellent item and a first class service. Excellent items and a first class service, many thanks! Trouble free ordering and delivery of good product. Good quality item and good service would use again. Great way to buy and I have been using Brook Taverner for years. Excellent choice and quality at real value for money prices. I do like the personal service. Produits de qualité livrés rapidement. Excellent quality, quick delivery. Professional packaging. Definetly recommend to all. good quality clothing and excellent delivery, had to return a blazer because I ordered wrong size , collection and replacement blazer no problem at all. Will certainly use Brook Tavener again. Top quality jacket, fast delivery. This is my first purchase and to say I'm pleased is an understatement. Speedy service, good product and no hassle just the way I like it. I will definitely use them again. Spot on with no hassle. Ordered.goods deluvered in two days.fit spot on..very happy. I ordered the wrong size jacket but it was so easy to send it back free postage in the same box that it arrived in. Everything was done quickly and efficiently and I soon had the replacement also sent free postage. This service is second to none. The jacket is great too! 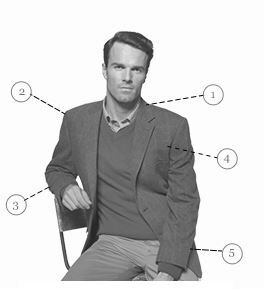 I have bought many jackets from Brook Taverner and am most impressed with the goods I have received. They are despatched quickly and arrive in a protected box together with tissue and over bag to keep them clean. 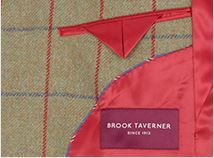 I would not hesitate using Brook Taverner again.....and again! The blazer arrived very promptly and I was very satisfied with the quality and fit. I would certainly buy from this company again. Very good service , delivery on time , returns dealt with and replacement provided in double quick time. Will use again. Easy purchase and response to a question I asked. Delighted with the blazer, price and speedy delivery. I wouldn't hesitate to use Brook Taverner again. The blazer I ordered was delivered very promptly. I was impressed with the quality of both the material and finish of the garment. I would have preferred a shorter fit but in my size that wasn't an option, however the regular fit isn't over long for me. I spent most of my life in retail and many years in Menswear where I was a trained fitter and it is pleasure to find a company that still makes quality affordable clothing. Just what the Customer needs!! A positive experience from beginning to end. Excellent company, courier, website, and clothes. A truly quibble free returns and exchange service. I am delighted to have found this company. I am very impressed with Brook Taverner. Prompt delivery, reliable service and quality product. Returned one item for exchange (size) and received the replacement two days later. Outstanding. 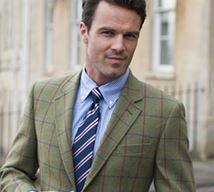 Brook Taverner shirts jackets and ties are unbeatable value and I will be using them for all my clothing requirements in future. Their return policy is excellent too so I have the perfect tailor at my fingertips without fear that if it doesn't fit I won't have to wait ages for a replacement or refund. I found Brook Taverner on the internet and ordered a new blazer for my husband. It arrived within 2 days, was very well packed, is excellent quality and a good fit. I will certainly use Brook Taverner in the future. Thank you. Excellent service. Easy to use website. Fast dispatch and delivery. Just what I have been looking for. Casual and smart at the same time. Delighted. 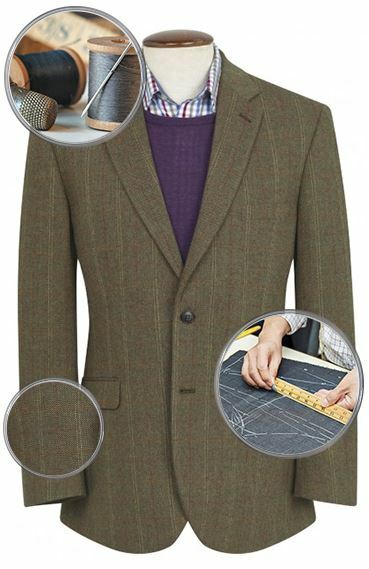 Great quality blazer, delivered very quickly. Very pleased - comfortable and smart. 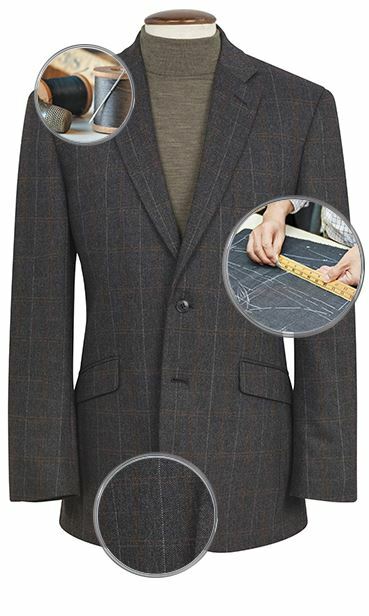 Good value blazer which is well made and presented. Very good value for a jacket of this quality. I have 5 of these fantastic blazers. They are of high quality and look amazing. The blazer matched its on line description, fitted very well and was nicely finished. It is a good quality product and excellent value for the money paid. The website was easy to use and delivery was quick and the garment was well packaged. A very satisfying buying experience.